How to Grow Tomatoes from Seed the Easy Way? Look for seeds that are certified organic and if you are aware of the diseases that afflict tomato plants in your area, select the ones that are disease resistant. If you are unsure about genetically modified or hybrid tomatoes, then go for heirloom tomato varieties that are sure to be high on flavor. If space is at a premium, you may want to choose seeds of determinate plants that don’t grow too large; however, this type tends to bear the produce at the same time. 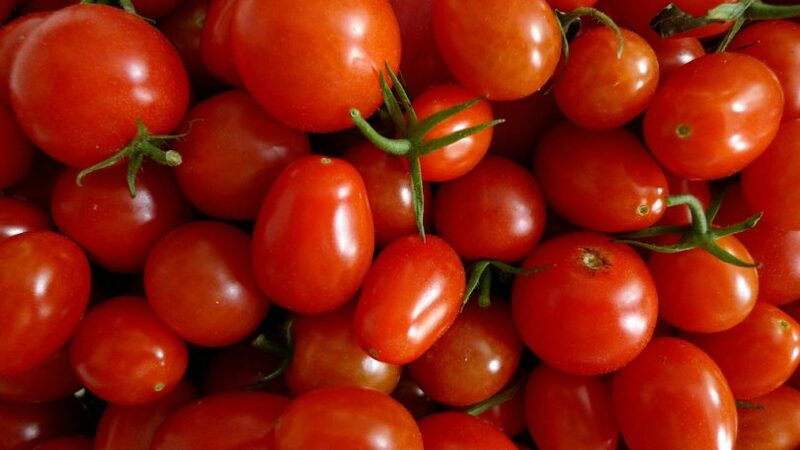 Apart from the tomato seeds, you will need small containers with drainage holes and potting mix that allows excess water to drain out besides water and light. One of the tomato growing secrets is not using garden soil as it tends to clump in the containers and may have pathogens and seeds of weeds. Water the potting soil well but stop before its starts dripping. Add damp potting soil to the containers leaving an inch from the top. Add a couple of seeds to a furrow made in the soil ensuring good soil contact. Place the containers in warm damp place. The seeds germinate in about a week or so and can be kept indoors for 6-8 weeks before transplanting them outside. After the seedling develops true leaves, use a liquid fertilizer once a week. Keep the plants well-lit and rotate them so that they do not lean to one side. Use a fan to simulate the wind so that the plants become sturdier. Remove them to larger pots once they’re 2-3 inches tall and if you still can’t transplant them outdoors. When moving them out, do it on a day that’s overcast or cool taking care to bury the stem up to the top two set of leaves so that they can become stronger and develop roots on almost the entire stem. If digging deep enough is not possible, the plant can be buried sideways. Leave enough space between seedlings. Tomato plants require support so make sure you stake them when you move them out so that they don’t have to be disturbed again. Water them well and they will start growing and begin to blossom once the weather warms up. Water regularly after checking how damp the soil is and fertilize once a week. Tomato plants are sensitive and prone to disease. Therefore, check them daily and nip problems before they become serious. By sustained care, you can ensure that your plants grow up strong and healthy. Remember, the plants bear a large amount of produce and it will be sufficient to have around six plants to have all that a small family requires.